Zeus at Parker Days in Parker CO.
We here at Kloud 9 Boxers place such great importance on how our puppies are cared for prior to leaving for their new homes. We feel that it is us who determine the likelihood of you receiving a well-socialized companion. What is it that we do to ensure that you are going to be receiving a happy, healthy & well adjusted Kloud 9 Boxer puppy? Here are some of our basic steps. Keep in mind that this in not an all-inclusive list, it merely scratches the surface of what we do to 'socialize' your puppy. We never take puppies away from their mothers for extended periods of time. Unless of course mom needs veterinarian care. Her constant nurturing is imperative to their health and development. We hold, cuddle and nurture each puppy daily: e.g. while watching the morning or evening news, while reading, while enjoying conversations with each other. We arrange designated puppy play areas that feature toys, so that each puppy has the opportunity to enjoy quality playtime for itself or with it's siblings. Each and every puppy is introduced to routine household sounds(i.e., vacuum cleaner, washer, dryer, running water, etc.) as well as placed on a variety of different surfaces. 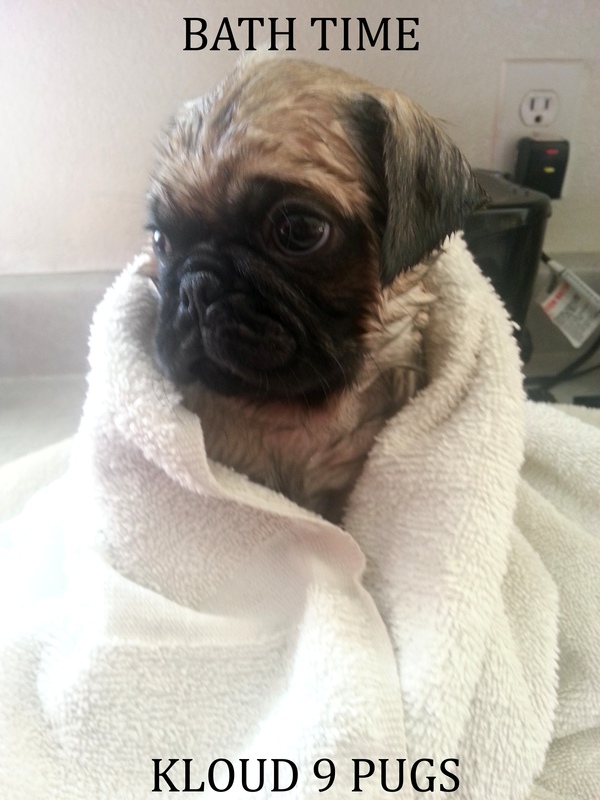 All puppies are exposed to routine grooming practices prior to placement(e.g. bathing, brushing, nail trimming, etc.). This ensures that they are accustomed to such handling when you take delivery. All puppies are introduced to our pet cats, so that they have an opportunity to become adjusted to other animals. They even go to the llama/alpaca fence to check them out. All puppies enjoy supervised playtime on our private acreage. This affords you a physically fit and strong puppy. These are just a few ways in which we socialize our 'babies'. We want them to grow to be well-adjusted 'kids' when they leave the nest for their new homes and families.